If you’re anything like me, brimming with ideas and enthusiasm for new and exciting projects but not quite sure how to bring them into action. You get stuck, feel doubtful and at worse you might burn out. How could things be different? How about using the wisdom of a process that is going on inside you throughout your month, or if you are not a menstruating woman, taking notice of the moons cycles. 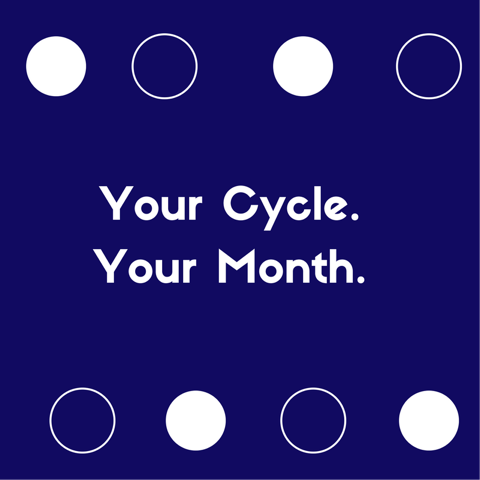 Menstrual Cycle Awareness has been the greatest self care practice for me over the last 5 years, helping me to get to know myself, understand how to best use my energy across the month and generally giving me a good foundation for living a full and rich life. If you are interested in looking at how your menstrual cycle or the lunar cycle can offer a framework for making sustainable changes in your life then this free course could be just the thing! I have teamed up with Hedvig from Girasole Life Design, designer and coach extraordinaire and together we’re going to bring you the best of our coaching practice, in the form of a course. • Winter: starting on 17th January. The new moon. Menstruation. • Summer: starting on 31st January. The Full Moon. Ovulation. • Autumn: starting on 7th February. The 3rd quarter moon. Luteal. • Winter: starting on 16th February. The new moon. Menstruation. • The course ends on the 22nd February. We Are Opening Registration For The Course Tomorrow 10th Jan 2018! Hi Abi, this looks fantastic and I’d love to participate. I’m not on Facebook, is that essential? Well done for getting this going, it’s really inspiring. Lovely that you want to sign up, its not essential to be on Facebook, everything will be emailed to you – the material and links to the video calls that we do. So no worries there. Only about half the people signed up have joined the facebook group. Would the course be eneficial for menapausal women? Are they still affect by the cycle of the moon in a similar wat as when they were mentruating or not? I know the moon has a powerful influence on aĺ scentient beings including the vegetal and animal species. Thanks for getting in touch, yes the course is suitable for women who are no longer bleeding, post menopause we are governed by the cycle of the moon to a whole deeper level. Unfortunately registration for the course has closed now but we will be running it again in the Spring, so please stay in touch. Appology for the spelling errors. I’m using my tiny screen phone.